TIMES U SACCO SOCIETY LTD. formerly Uruku Rural Sacco Society was registered in 1993 as a rural based Sacco, with an initial membership of 200. It was formed to cater for the needs of individuals from the Uruku Community. At that time, there was only one member of staff managing the society until 1999 when they became 2 staff. 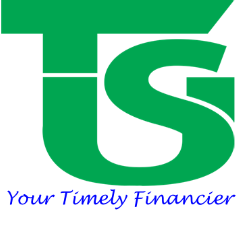 To be the preferred provider of transformational financial solutions to Kenyan citizens. In 2004, FOSA services were initiated at the society and at the same time, boundaries were opened to accommodate members from other areas within the greater Meru. In 2009, Uruku Rural Society was renamed Times U Sacco Society Limited (TUSL). Today the total membership stands at over 10,000 with members drawn from varied professions and statuses, ranging from farmers to business persons and salaried employees. TUSL currently has substantive membership which brings together individual members and farmer groups. The Sacco has expanded its common bond and incorporated business men and self-help groups as part of its membership.